After publishing the Jot Exporter for Blender, I’ve noticed a lot of people are having trouble getting Jot to run on their computers. I’ve put together this short tutorial to help explain how. The screenshots are from Windows 8 Pro 64-bit, but the process should be the same for WinXP, Vista and Win7, both 32 and 64-bit, and Home, Pro or Enterprise editions. Begin by downloading Jot from her http://jot.cs.princeton.edu and double click jot-1.0.0.zip. 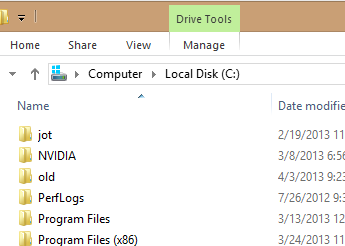 Drag the jot folder within to the root of your C: drive. 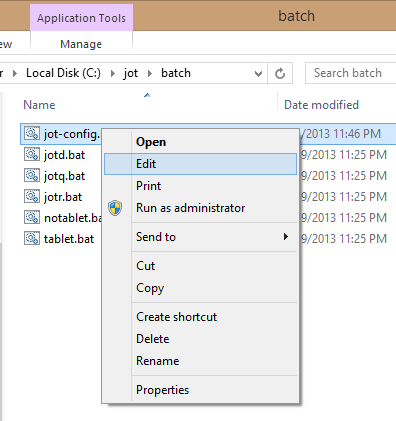 Go into C:\jot\batch, and right click jot-config.bat, and choose Edit. 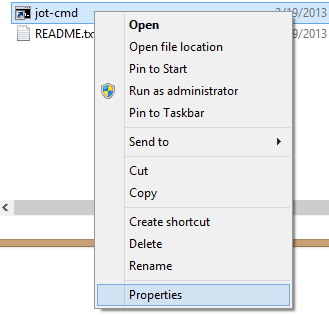 Next go back to the C:\jot folder and right click jot-cmd and choose Properties. In the command prompt enter the following. 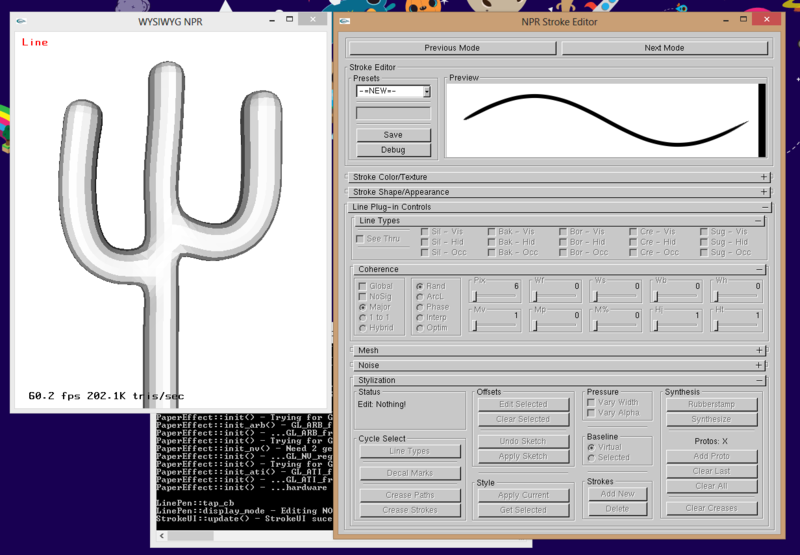 If everything is working as it should, Jot should start up with the model of a cactus loaded. 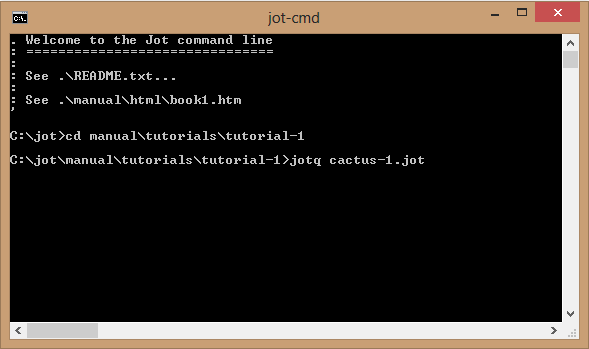 Look in the manual folder for instructions on how to use jot, plus a couple of tutorials. Posted in Tutorials and tagged blender, jot. It is likely not finding the glut32.dll files that come with Jot (it’s in jot\bin). I’m guessing, but I would think it’s because the JOT_ROOT path is incorrectly defined in in jot-config.bat, but I’m not sure. I managed to compile jot on 32 bit ubuntu. porting to 64 bit is some work for which i have not time. If you want to patch and instructions mail me plz. I’m on Win 7 x64 and I’ve got Jot opening but the OpenGL window is blank. I’ve got a few messages in the CLI about GL_ARB and GL_NV not being supported by hardware. I have a ATi 4870 graphics card which ought to support that, right? Dave: Is this on a laptop? I´m guessing that the ATI 4870 supports switchable graphics, which means it switches to a lower powered GPU when running non-OpenGL applications to use less battery power. The command prompt on Windows, which is used to launch Jot, is one such application, so it will by default start in this lower powered non-OpenGL mode. 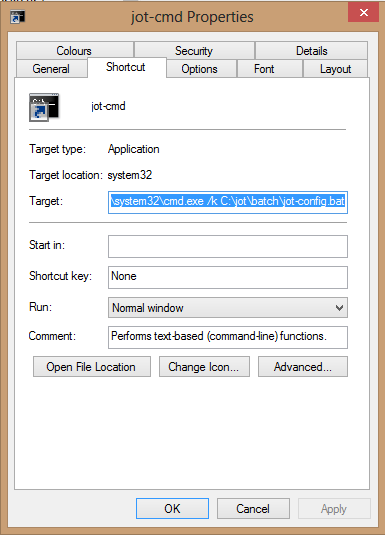 With Nvidia cards you can right click on jot-cmd and choose “Run with Nvidia Graphics”. I´m guessing ATI has some similar setting, that can be used to force it to use the high-end part of the card, though I don´t know what it is as I don´t have an ATI graphics card to test. Jot itself should run fine on both Nvidia, ATI and even Intel cards, on XP, Win7 and Win8, but has problems with the power saving modes on Nvidia cards, and possibly ATI cards. I haven’t found anything yet. Perhaps I’ll give it a rest and come back to it next week. For what it’s worth the CLI window does finish saying that hardware acceleration is available, just nearly everything else it checks for isn’t. hi, I’m new to 3D, i’m developing a feature film based on short storyies by Haruki Murakami. This project was originally planned as 2D. Since the characters or quite complex and the 2D animation tedious and expensive, I’ve now been encouraged to consider 3D with NPR rendering, this tool seems very promising and beautiful, can it serve as well just to draw with, say a textured brush on a model? my aim would be to have a model with hand drawn lines that could somehow match the contour lines? unless these contour lines could be made precisely with the hand drawn quality? This could all be animated in blender for instance. I’ll download JOT and attempt an install! Hi, It sounds like a cool project, but to be honest I don’t think Jot is really production ready. It was written as a research project over 10 years ago, and the implementation of it was more a tech demo than a ready product. It does work, but for a feature film, you really want stable reliable tools. My goal with writing the Jot exporter for Blender, was to hopefully renew interest in Jot and the technology behind it, hoping that someone would pick it up and continue developing it further. While it did get a lot of interest in the Blender community, I don’t think anyone continued development on it. There have been some university projects into similar technology, even some that improve the stability of the lines, but I haven’t found a publicly available implementation of any of them. That said, check out what MAD Entertainment, a small Italian studio have been doing. https://vimeo.com/87258946 I think most of the stuff on their reel is done in 3D, though there may be some 2D in there too.